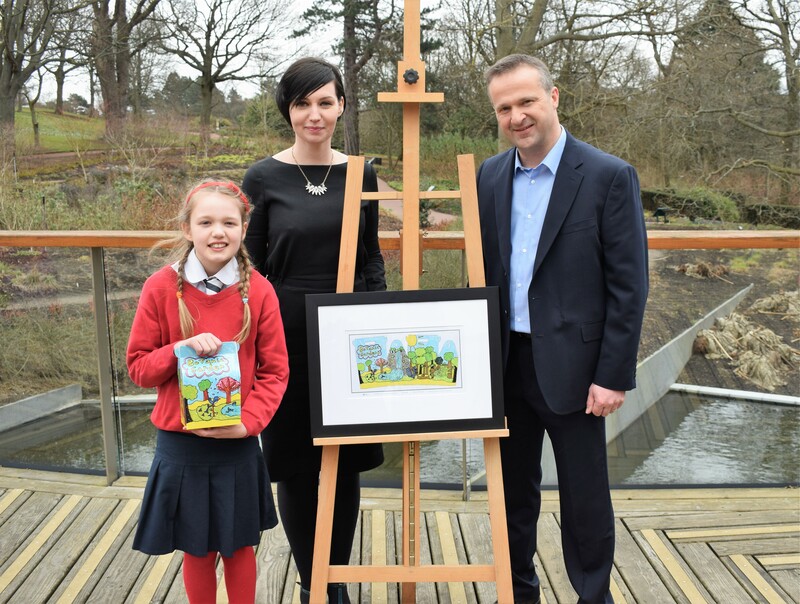 Sodexo Prestige Venues & Events, leading catering and events company, has unveiled the winning design for its new children’s lunchbox in The Royal Botanic Garden Edinburgh, at a prizegiving ceremony with pupils from The Flora Stevenson Primary School in the city’s Comely Bank. Buddings artists from across Primary 5 were invited to take part in a competition to create the perfect illustration for the new lunchbox to feature in the Terrace Café at the Botanics. Before starting their drawings, pupils were given the chance to tour the Garden and get a feel for the space, plants & the different reasons people visit all year round. This helped form the inspiration for their final designs. Entries were judged by Paul Mitchell, Regional Manager at Sodexo alongside Head Teacher at Flora’s Primary School and a winner was selected with a further two runner up designs receiving recognition for their efforts. Eliza Grierson aged 9 was crowned the overall winner of the competition with the runner-up prizes being awarded to Iris Weston and Scarlett Leonard also aged 9. The three budding artists were invited to a sumptuous afternoon tea with their parents at the Botanics to see the first batch of Eliza’s lunchboxes up close. Paul Mitchell, Regional Manager for Sodexo Prestige Venues & Events said: “Following our refurbishment of the Terrace Café we wanted to make sure we had the perfect finishing touches in place for visitors to enjoy. The Terrace Café is much loved by local families and tourists and we wanted to bring the garden to life through the eyes of a child. It offers such a fantastic learning experience for young and old and the lunchbox design ensures this continues through to their visit to the café too.